There’s an assembly line at my mum’s house this afternoon. Today, it’s a curry puff factory. My mum cuts the pastry into portions, each destined to become a puff. 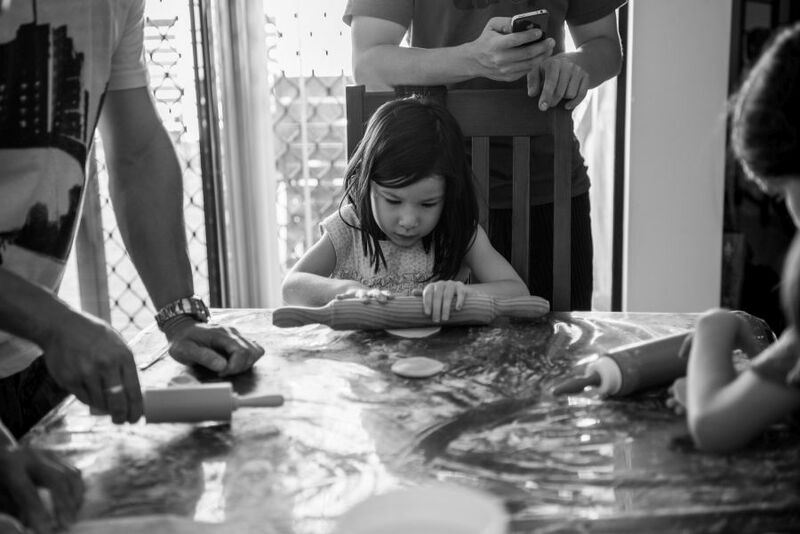 The kids are really good at rolling out the pastry, and they’re concentrating hard. The workers are industrious and keen, and morale is excellent, with plenty of joking and giggling, and words of encouragement from the veterans to the young apprentices. 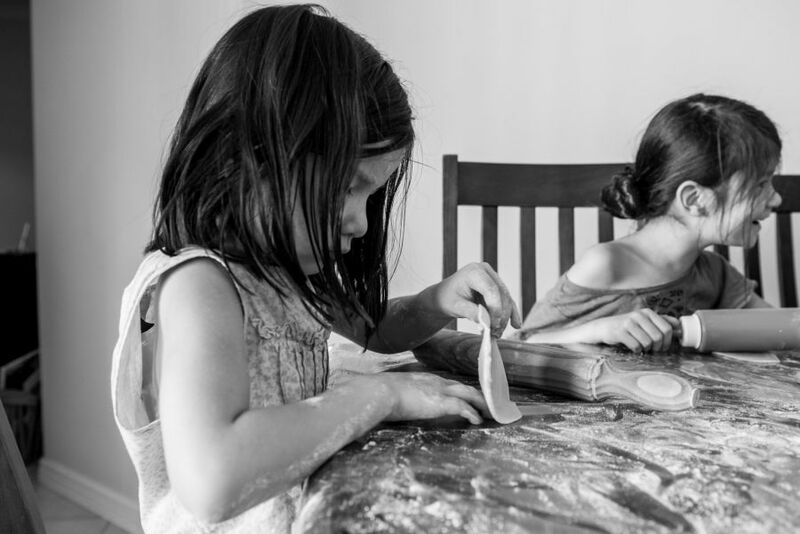 A sheet of clear plastic protects the dining table, now covered with flour and fingerprints. I’m sorry. 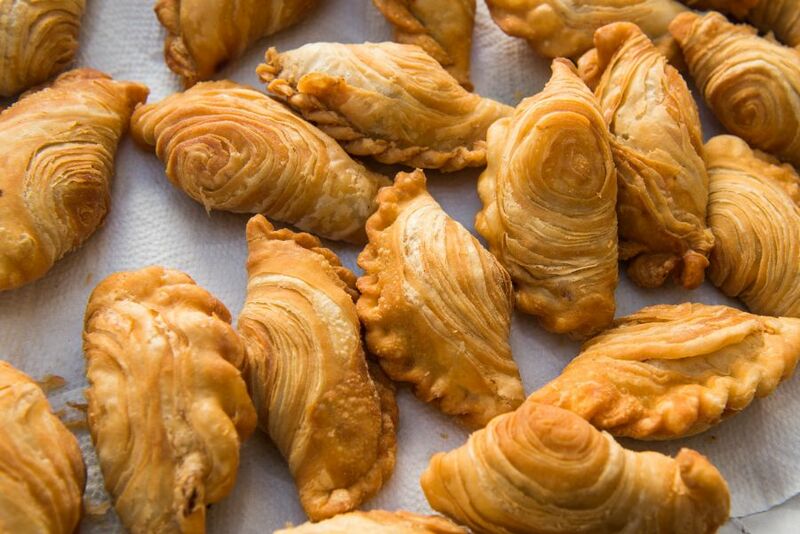 I’ve had a lot of requests but I can’t share the recipe for these curry puffs. 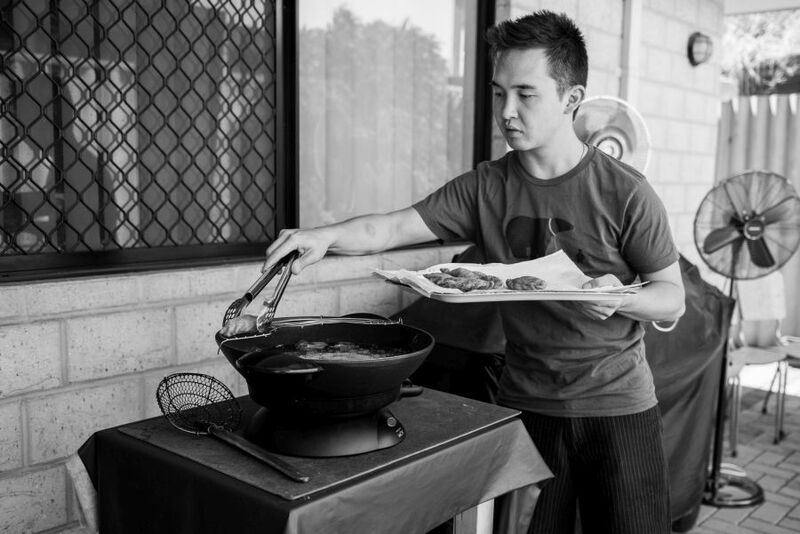 We make them using a secret recipe from my mum’s side of the family that is essentially passed on by demonstration. 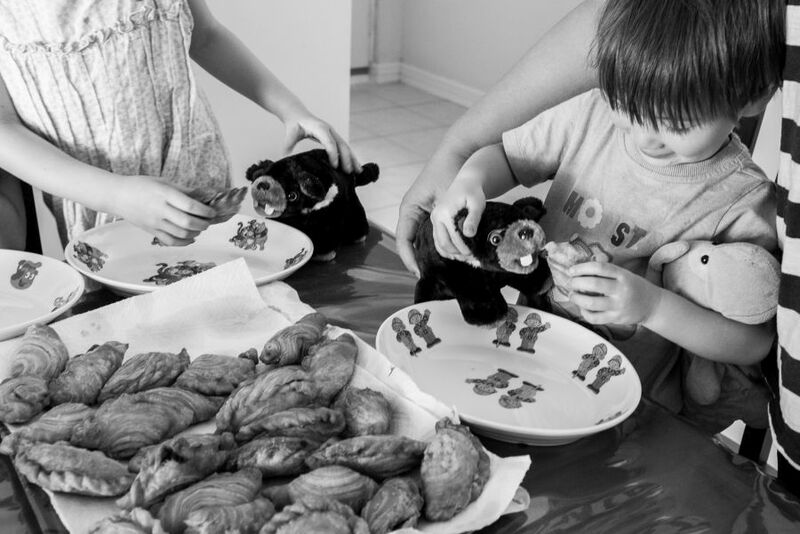 To be shown the recipe, you have to be a family member. I’ve known this ever since I was a child, and like the other children, I follow the family tradition. I realise this may be a controversial concept. I know we’re not the first nor the only family to make curry puffs with spiral-patterned pastry. 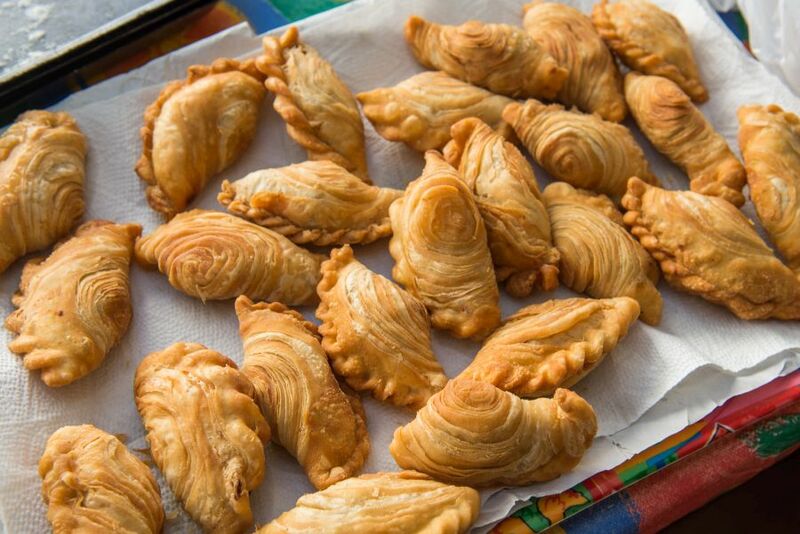 You’ll find plenty of non-secret recipes for ‘spiral curry puffs’ through Google. We’re certainly not the first nor only family to have a secret recipe. This is our only secret recipe. 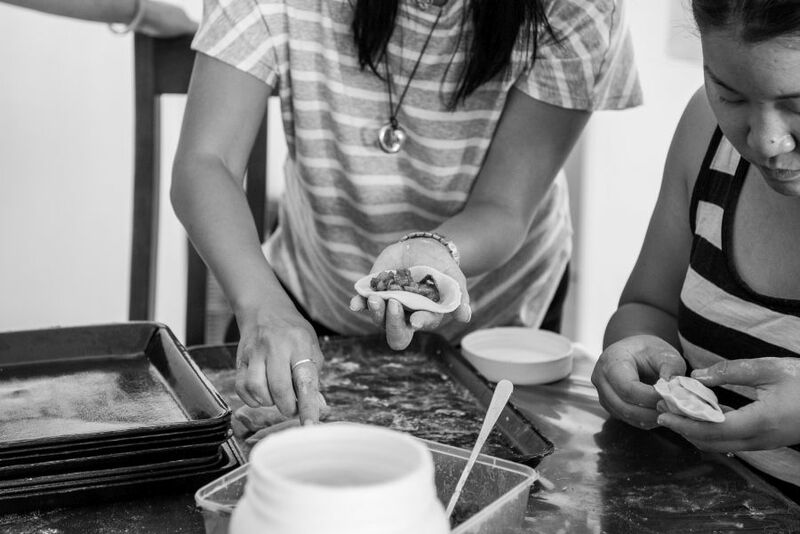 It’s just the recipe that isn’t shared; we readily make curry puffs for our friends to enjoy. 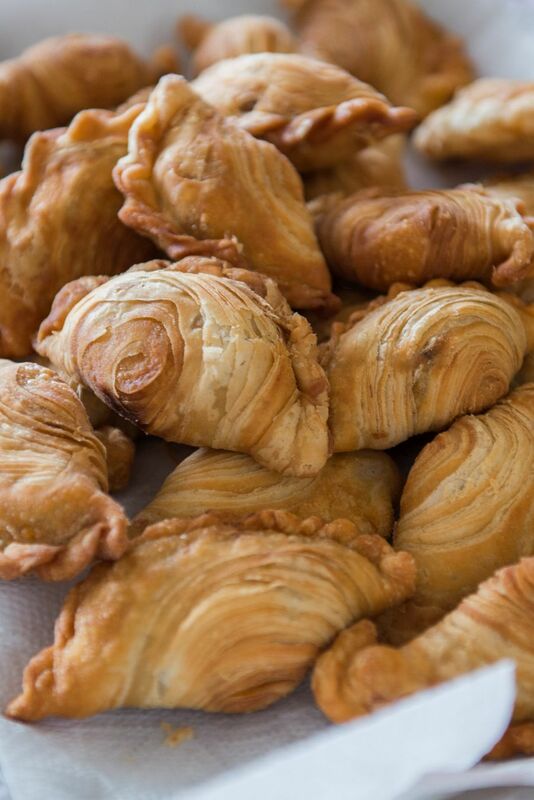 When you first start making curry puffs, it’s easy to use too much or too little filling. The more curry puffs you make, the easier it gets to estimate the right amount. 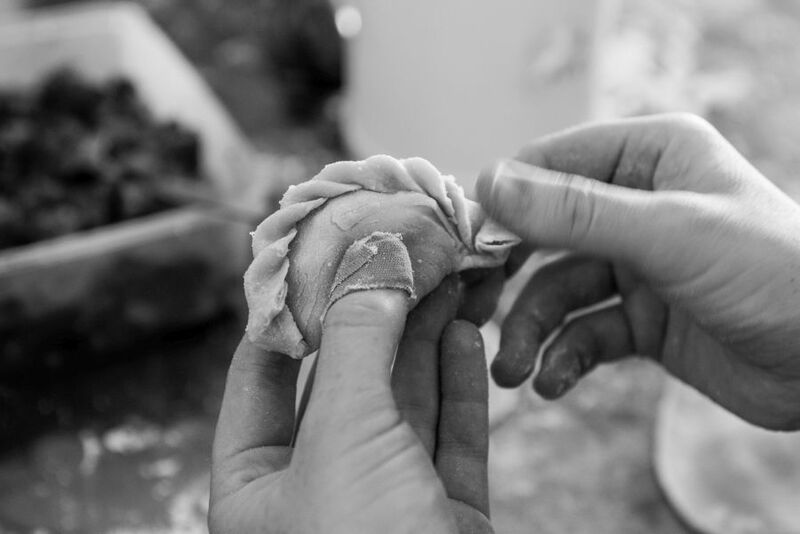 You can buy curry puff moulds in Asian supermarkets and on eBay but we prefer to shape our curry puffs by hand. My sisters and sister-in-law are the best at crimping the curry puff edges. I’ve never been able to perfect it. Occasionally a curry puff develops a split before frying. 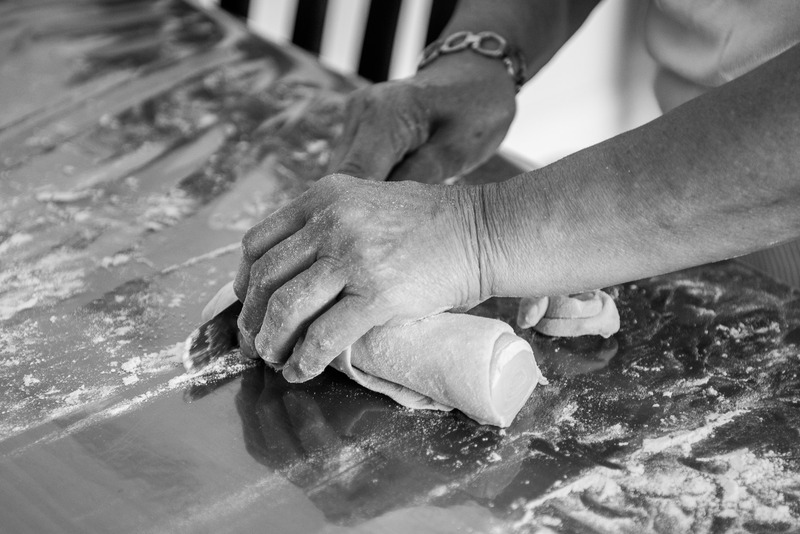 Mum mixes up a slurry of flour and water to patch up any holes in the pastry. A quick repair job and in they go, dropped carefully into the hot oil. 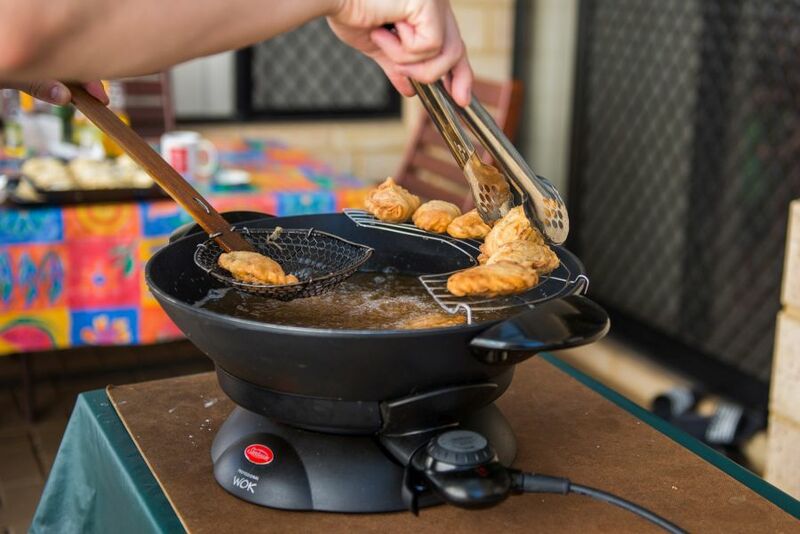 It’s thirsty work for the curry puff fryer on a 38C afternoon. There may be child labour at work in my mum’s dining room, but the real sweat shop is out here on the patio. Warning: it’s impossible to stop at one. Or two. Or three. 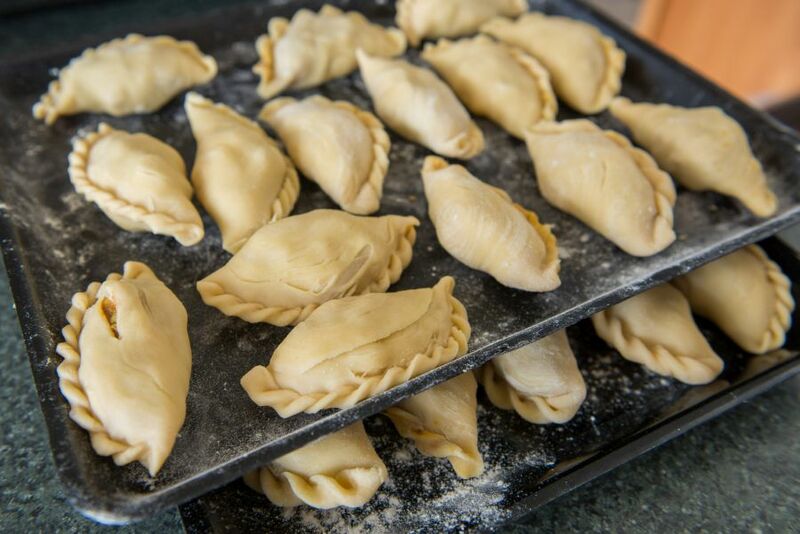 We’ve made two varieties of puff today: chicken curry puffs, and corned beef puffs (made with a tasty mixture of tinned corned beef and onion) for the kids. Some of the grown-ups rather like the corned beef puffs too. 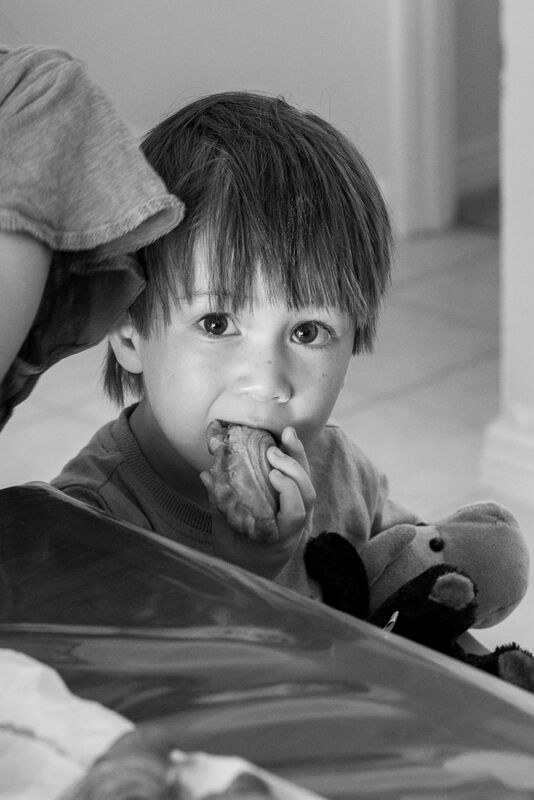 The kids ‘feed’ their Tasmanian devil toys corned beef puffs, though Caleb only allows his Tassie devil to take one quick ‘bite’. Poor old Sprout the dinosaur gets nothing! 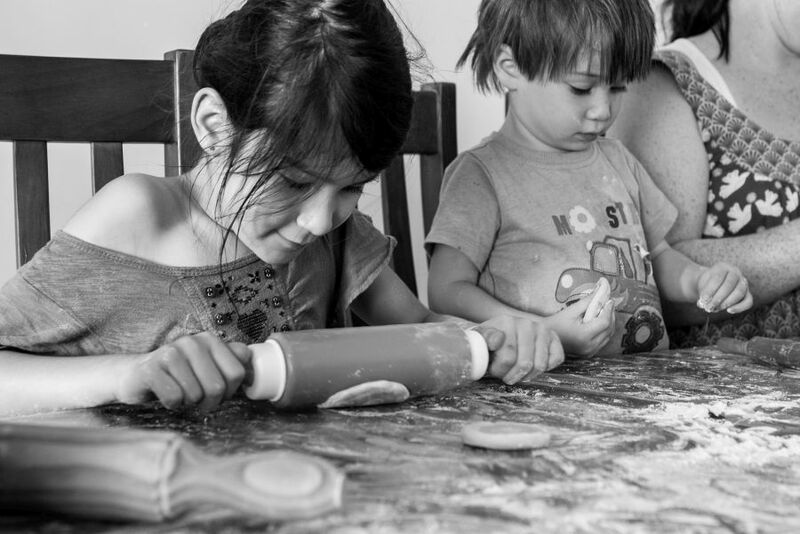 Do you have cooking sessions that involve the whole family? 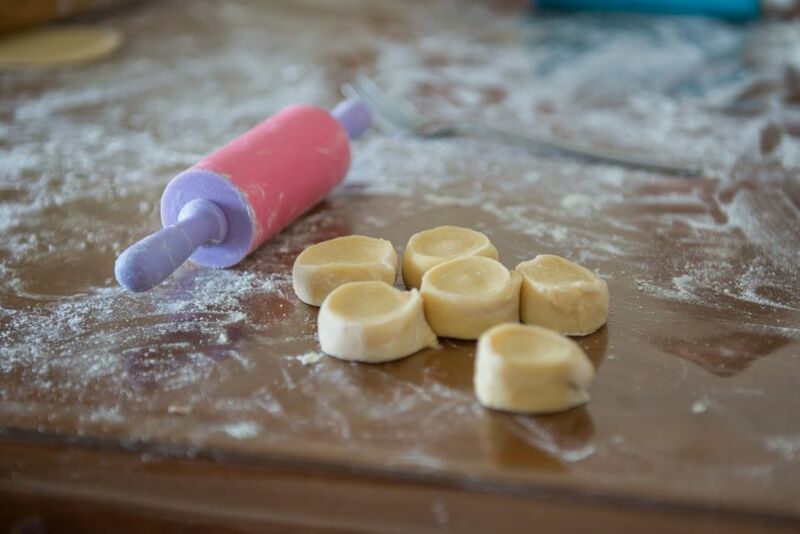 Does your family have a secret recipe? Speaking of family, if you celebrate the Lunar New Year (for us, it’s Chinese New Year), I hope you’ll be able to get together with family to enjoy some festive food. Kong Hee Fatt Choy! Another note on recipes: I have shared the odd recipe here on the blog, such as this one for my mum’s Hokkien mee, but I have stated on many occasions over the years that The Food Pornographer is not a recipe blog and never will be. 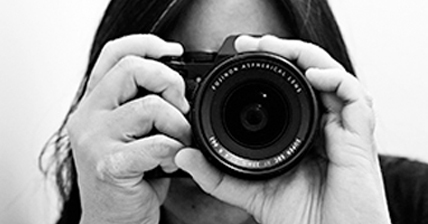 I’m an eater, writer and photographer, not a cook; I have little interest in blogging recipes.